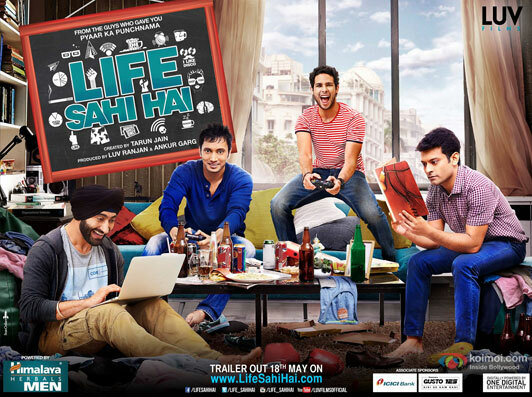 The guys who gave us Pyaar Ka Punchnama have just released the trailer of their digital sitcom Life Sahi Hai – Season 01. Life Sahi Hai revolves around the lives of four guys – Jasjit, Amit, Sahil and Siddharth who have moved to Delhi, to live independently for the first time. They have a tendency to land in uncomfortable and what for us are hilarious situations, all the time. While dealing with bosses, girlfriends and with each other, these guys end up in challenging situations. But despite all this, they can see the lighter side of life in everything and keep believing that “Life Sahi Hai”. Life Sahi Hai stars Suhail Nayyar, Tarun Jain, Siddhanth Chaturvedi and Abhishek Saha. It is produced by Luv Ranjan and Ankur Garg under their company Luv Films and created by Tarun Jain.